Our crew is very professional and ensures that your restoration or cleanup will look "Like it never even happened." Josh Franks is our Business Development Executive. 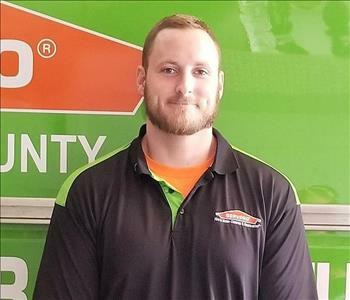 He has been with SERVPRO® of Hancock County for 3 years. Outside of work, Josh enjoys tinkering and modifying cars! "I love SERVPRO®, because it gives me and my team the opportunity to come alongside people who have just experienced a disaster in their home or business. To satisfy a customer in the circumstances we work in is truly a special thing, and we're great at it." You can reach out to Josh at jfranks@SERVPROhancockcounty.com. If you feel that you have fire or water damage, you can contact us at 419-299-3774. Rick Franks is the owner of SERVPRO® of Hancock County, and he's been with the company for 22 years. Outside of work, Rick enjoys attending and volunteering at Cedar Creek Church and City Mission. He also enjoys convertibles, karaoke, and rockabilly music. "Whether its preaching hope at the mission, helping my employees grow and succeed, or fixing someones house when disaster strikes, my life mission is to add value to everyone I come in contact with. 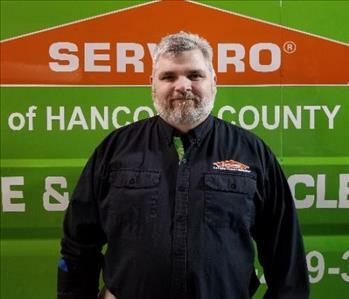 SERVPRO® is an excellent vehicle for me to fulfill my life's mission." You can reach out to Rick at rfranks@SERVPROhancockcounty.com. If you feel that you have fire or water damage, you can contact us at 419-299-3774. Chase is our Production Manager. 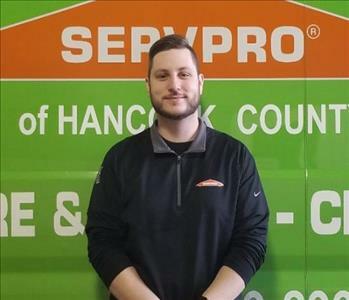 He has been with SERVPRO® of Hancock County since April 2017. Outside of work, Chase enjoys spending time with his wife and children. "The most enjoyable part of my job is the constant change of atmosphere and challenges to face." You can reach out to Chase at cperkins@SERVPROhancockcounty.com. If you feel that you have fire or water damage, you can contact us at 419-299-3774. Angela Perkins is the Marketing Representative for SERVPRO® of Hancock County. She started with our team a few years ago as a production team member. Angie can be reached by calling 419-299-3774 or by email at aperkins@SERVPROhancockcounty.com. 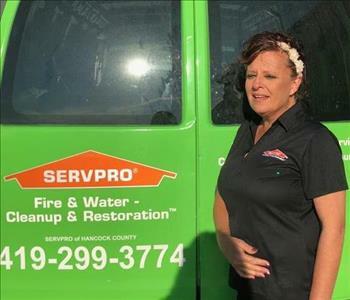 Jamie Proehl is a Crew Chief with us at SERVPRO® of Hancock County. 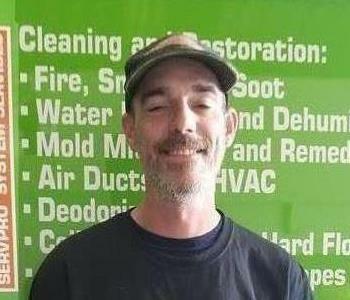 He enjoys working with SERVPRO® of Hancock County because he likes that the company helps people at their worst time. Jamie enjoys flying his drone and seeing the world in a different way.